When I was at university one of my favourite canteen meals was Cheesy Chips. It's not a complicated meal, in fact “meal” might be pushing it, but that simple addition of grated cheese onto a plate full of deep fat fried chips was absolute heaven. I’m not sure I can justify its nutritional content, but from a flavour combination it was food of the gods. Clearly I’m not alone in my love of this food as the new flavour of Burton’s Fish and Chips is Cheesy Chips. 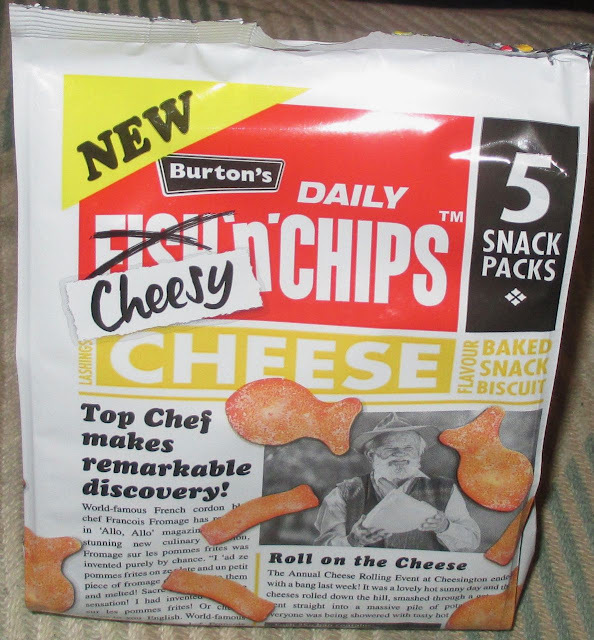 Once I got these home and inspected them a little further I realised that the partly crossed out heading at the top of the bag was a little misleading, and these are in fact just cheese flavour Burtons. The subtlety of making them cheesy chip flavour seems to have been lost. That said they had a nice taste, the cheese flavouring was pleasant, not too strong, and with just tiny hint of sweet. They were not too musty, and the taste wasn’t in your face. 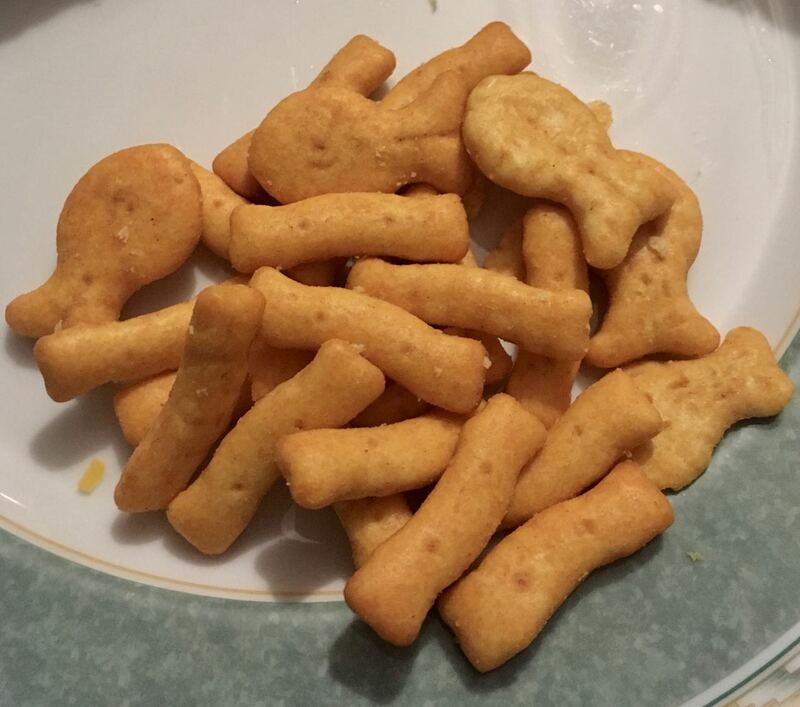 It works well with the biscuity snacks, which were still shaped like fish and chips. I think Wotsits have the edge on cheese flavour snacks for me, as I prefer a stronger cheese taste. These were nice though not my favourites in the Burton’s Fish and Chip range, but I’ll happily work through the rest of the bag. All I have to do now is find a cafe that sells cheesy chips, and see if that dish tastes as good as I remember. Or buy a deep fat fryer and do it myself!